This study explores how Dalits in north India have used literature as a means of protest against caste oppression. 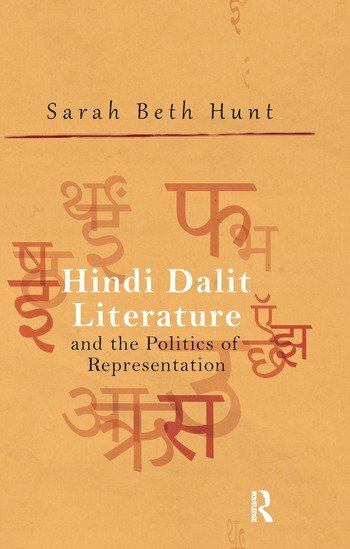 Including fresh ethnographic research and interviews, it traces the trajectory of modern Dalit writing in Hindi and its pivotal role in the creation, rise and reinforcement of a distinctive Dalit identity. The book challenges the existing impression of Hindi Dalit literature as stemming from the Dalit political assertion of the 1980s and as being chiefly imitative of the Marathi Dalit literature model. Arguing that Hindi Dalit literature has a much longer history in north India, it examines two differing strands that have taken root in Dalit expression — the early ‘popular’ production of smaller literary pamphlets and journals at the beginning of the 20th century and more contemporary modes such as autobiographies, short stories and literary criticism. The author highlights the ways in which such various forms of literary works have supported the proliferation of an all-encompassing identity for the so-called ‘untouchable’ castes. She also underscores how these have contributed to their evolving political consciousness and consolidation of newer heterogeneous identities, making a departure from their long-perceived image. The work will be important for those in Dalit studies, subaltern history, Hindi literature, postcolonial studies, political science and sociology as well as the informed general reader. Sarah Beth Hunt is an independent scholar of South Asian and postcolonial literature, based in England.